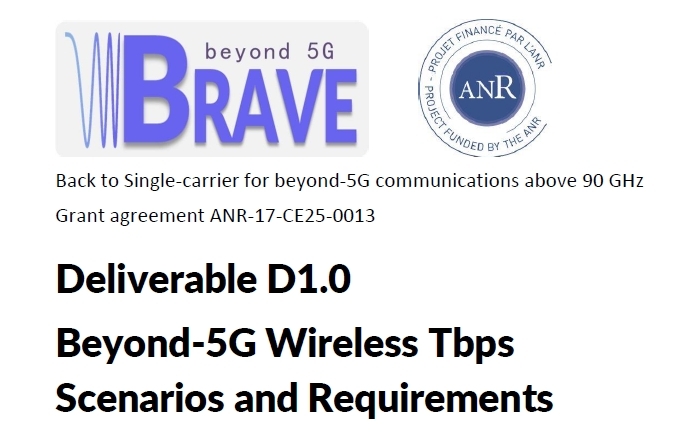 BRAVE is a collaborative research project started in January 2018, that aims at creating new physical-layer (PHY) techniques devoted to beyond-5G wireless communications. The partners (Siradel, Central-Supélec, CEA-Leti and ANFR) are designing new high-data-rate and energy-efficient waveforms that operate in frequencies above 90 GHz. Application to scenarios such as kiosks, backhauling, hotspots are assessed to evaluate the benefit of the proposed technology. Funded by the French Research Agency ANR, the BRAVE project will go to its end in December 2020. The consortium is combining skills from an industry (Siradel), an academic laboratory (Centrale-Supélec), a research institute (CEA-Leti) and a regulator (ANFR), which are all familiar with collaborative research and recognized in the field of wireless innovation. 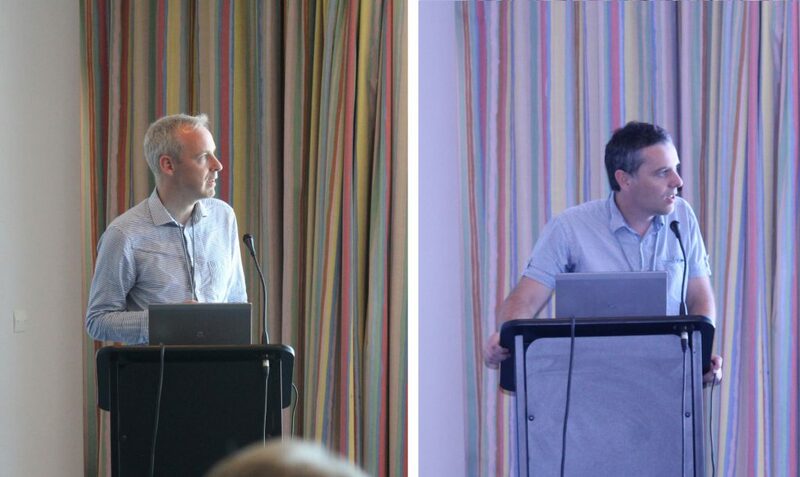 The partners bring complementary skills to efficiently tackle the different challenges of the project: regulation, signal processing, realistic modelling of the PHY-layer, and software-based evaluation. SIRADEL is an innovative high-tech company that has been delivering products and services to the Wireless Industry for about 20 years. It is fully owned by ENGIE. SIRADEL edits simulation software for RF network design engineers. Siradel is coordinator of the project. CentraleSupélec (CS) is the result of the recent fusion of Centrale-Paris (created in 1829) and Supélec (created in 1894) both in the top four of the high schools of engineering in France. The SCEE (Signal, Communication & Embedded Electronics) research group belongs to CS campus of Rennes. Within CEA (Alternative Energies and Atomic Energy French Commission), the Laboratory for Electronics & Information Technology (CEA-Leti) works with companies in order to increase their competitiveness through technological innovation and transfers. Leti’s skills cover cellular and wideband systems. ANFR (Agence nationale des fréquences) is the French governmental institution that is responsible of the RF spectrum management: spectrum planning, frequency allocation, coordination of frequency assignments, control and international negociations. The BRAVE partners are exploring a new radio technology that is intented to operate at high frequencies (above 5G spectrum), along with huge bandwidth, and enhanced spectral and energy efficiencies. Ultimate goal is the definition of a solution that would reach 1 Tbps. The frequency spectrum above 90 GHz offers opportunities for huge bandwidths, up to several tens of GHz, which is required to increase data rates and network capacities beyond 5G performance. The BRAVE partners will investigate frequencies in range from 90 to 200 GHz. The BRAVE technology applies to short-range or line-of-sight communication scenarios that must deliver ultra-high data rates, in order to solve congestion (in backhaul network or server farms) or enable future challenging aplications (e.g. multi-user high-quality VR). BRAVE revisit the PHY-layer by looking back on single-carrier (SC) modulations, thus allowing for improved spectral efficiency and reduced power consumption (i.e. from lower PAPR). Indeed the line-of-sight transmission and the use of large antenna arrays make the propagation channel favourable to SC. Study and modelling of the propagation and RF impairments at frequencies above 90 GHz aims at: – Implementing realistic link- and system-level simulators. – Designing the new air interface based on well-understood physical constraints. – Evaluating and demonstrating B5G scenarios.